Earth Day is coming, Friday, April 22, and this day and the weekend that follows have become a global effort to make the world a better place. Founded in the U.S. in 1970, Earth Day is now celebrated by 193 countries. It's traditionally a day for education, awareness and volunteering to help with the environment in a way that makes a tangible difference. In Oregon, thousands of people will be doing outdoor projects with SOLVE to clean rivers, destroy invasive growth, plant trees and pick up litter. 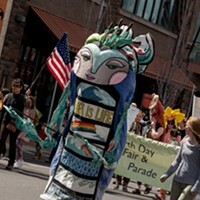 Whether one is able to get into the forest, attend a lecture, or cheer participants in the Earth Day parade, there is a way for everyone to get involved. Oregon has made great strides and has led the rest of the country in legislative measures to protect the environment in the 46 years since the first Earth Day. From the passage of the first bottle bill in the nation in 1971 to the passage of the 2016 clean energy bill that is the first in the U.S. to ban coal in the electricity supply, Oregon leads the way. Conservation began with a generation of people who wanted to change the world, and they did. The air and rivers are cleaner, the national forests are protected and we are working together to create a society of good stewards to the environment, protecting wilderness and wildlife and developing clean energy. However, there is still work to be done. Species are dying off, a continent of plastic trash floats in the Pacific Ocean, the planet is being deforested and Oregon forests are being reduced. Greenhouse gas emissions are leading to climate change, but people are turning away from science for more comfortable rhetoric. These are some of the top issues today. As a state, we are setting the bar higher than most for fuel emissions, clean energy and waste reduction, but competing interests are delaying implementation of science to improve the environment. 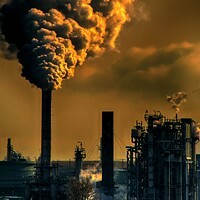 Globally, the United States is second only to China among the world's worse greenhouse gas emitters. This year, on Earth Day 2016, the United States will sign the historic Paris Agreement of the Climate Protection Treaty adopted by 195 nations at the 2015 United Nations Climate Change Conference in Paris. The U.S. and China, the world's two largest emitters, will both sign the agreement along with more than 120 other countries. The binding and universal agreement on climate calls for action against climate change, specifically, reducing greenhouse gas emissions to zero by the second half of the 21st Century. The agreement is a step in the right direction, but will need to be strengthened in the future. 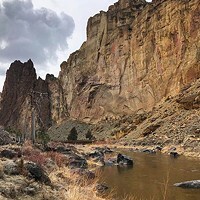 Here at home in Central Oregon, free Earth Day events are open to everyone this weekend to come and learn about the environment and what can be done to protect and improve it. As the International Trade Union Confederation has said, "There are no jobs on a dead planet." More than one billion people worldwide will be celebrating Earth Day this year. All hands on deck.